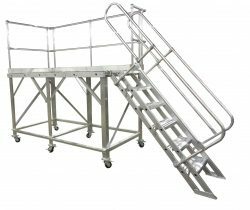 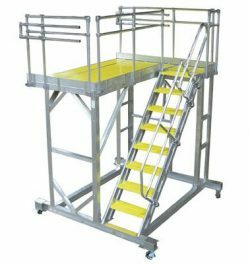 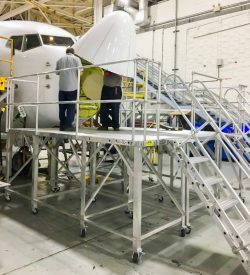 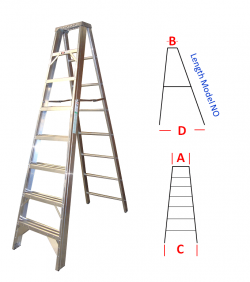 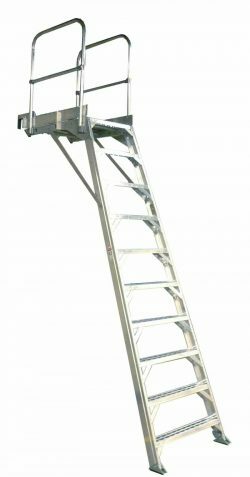 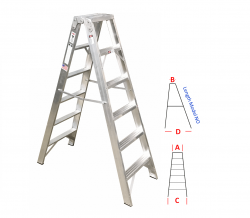 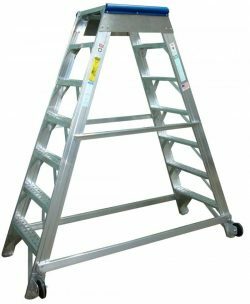 Our 767 aircraft wheelwell ladder provides the strength and durability you need to access the wheel well of the aircraft.The ladder is designed to clear the landing gear of the aircraft allowing for a safer and more efficient approach. 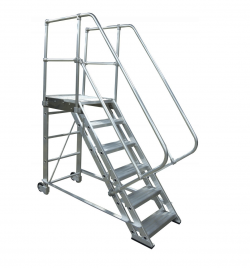 Our 767 aircraft wheelwell ladder provides the strength and durability you need to access the wheel well of the aircraft.The ladder is designed to clear the landing gear of the aircraft allowing for a safer and more efficient approach. 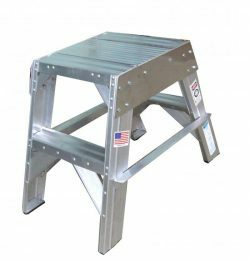 Manufactured with double riveted 3-3/4″ non-skid steps in an aggressive perforated design for extreme environmental applications. 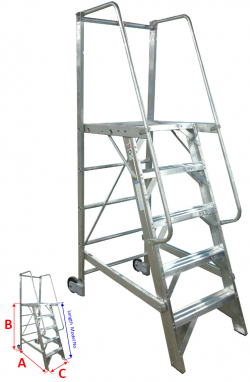 Ships fully assembled ready to use. 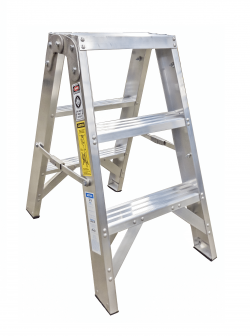 Double riveted 3-3/4″ non-skid steps in an aggressive perforated design for extreme environmental applications.